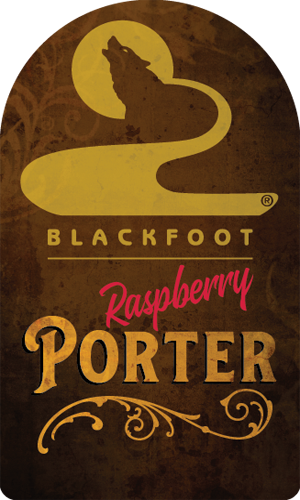 We added raspberries to our traditional brown porter to make this fun and delicious Raspberry Porter. These raspberries were grown by a longtime customer and friend of the Blackfoot, Lynn Boone. We used about one pound of raspberries per gallon of porter. This created a beer that is loaded with raspberry aroma, raspberry sweetness and tartness, and finishes like a rich porter.